No-bake cakes are hard to come by, and gluten-free desserts are even rarer. 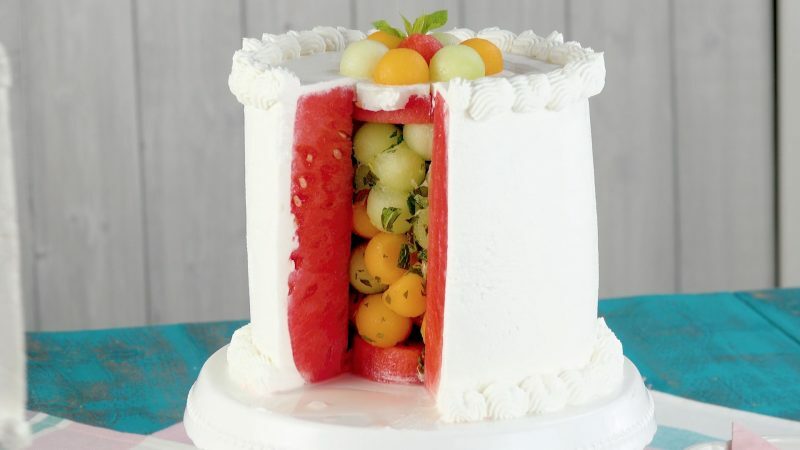 This melon extravaganza manages to fit both categories, makes for a fresh summer treat, and is probably the lightest cake in the world! 1. Cut the honeydew melon in half lengthwise and scoop out the core. 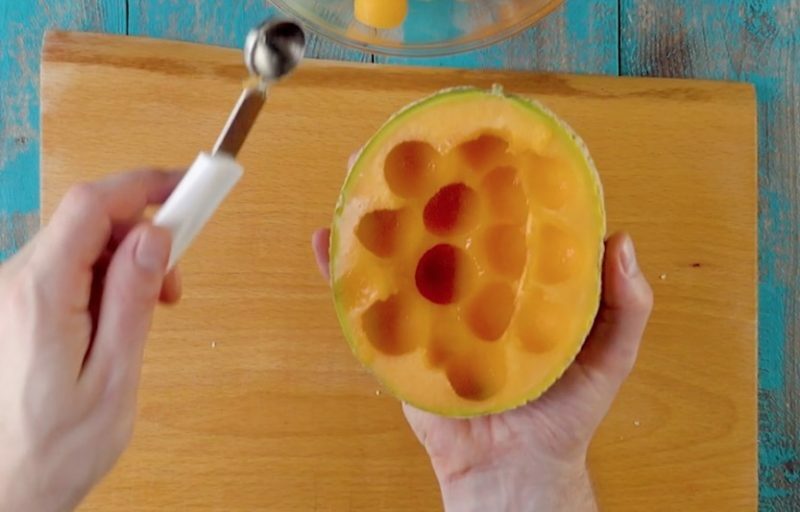 Then use a melon baller to cut out proportional pieces and deposit them in a bowl. 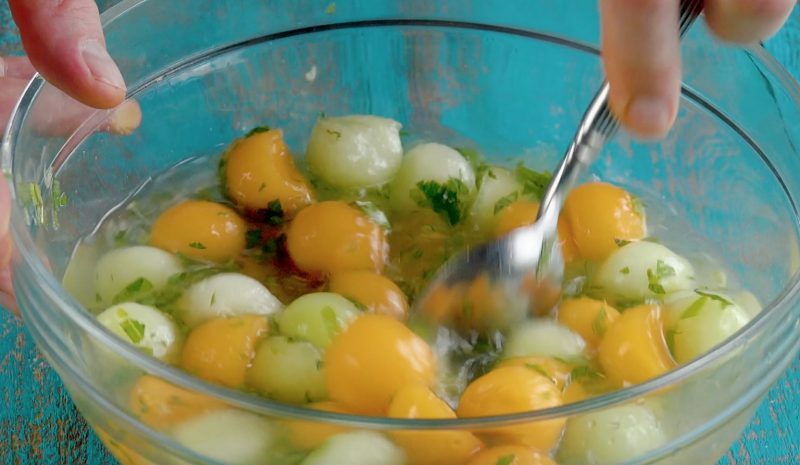 Do the same to the cantaloupe and add the cantaloupe balls to the honeydew melon balls. 2. Remove the leaves from the sprig of mint and finely chop them. Then add them to the melon balls. Zest the lemon peel and squeeze the juice over the melon balls. Finally, add the grape juice and stir the mixture together. Place a sieve over a separate bowl and filter the juice from the mixture. Pour the remaining ingredients back into the original bowl. 3. 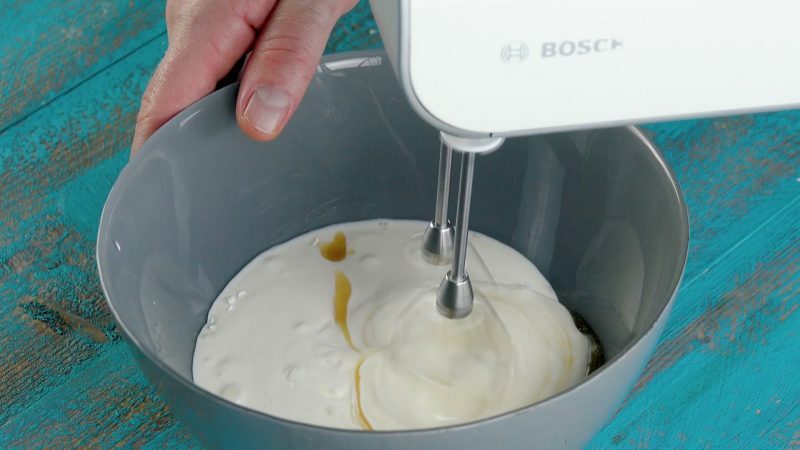 Mix the cream, powdered sugar, and vanilla extract in a bowl and stir the ingredients with a hand mixer until frothy. 4. Now prepare the watermelon: first cut off the ends so the watermelon can stand upright. Then cut off the rind — the easiest way to do this is to cut off in strips, working from the top to the bottom. Once the entire rind has been removed and you are left with just the shell, use a long knife to cut out a circular inner section. Make sure to cut all the way down so you can pull the circular inner section out in one piece. Cut two 1-inch thick sections off the inner section and set aside. 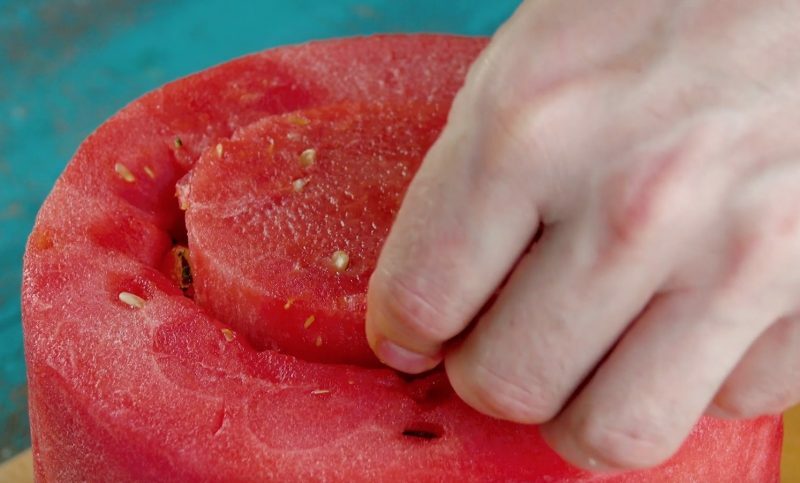 Dab the outside of the hollow watermelon shell with a paper towel until dry. 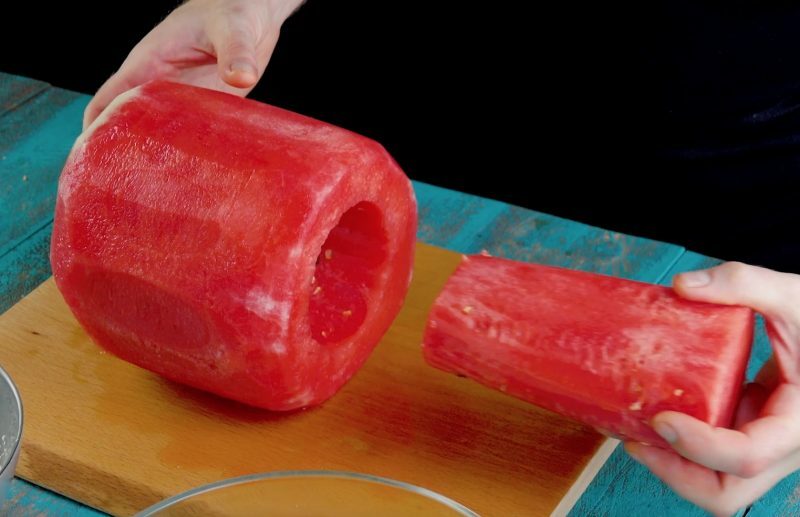 Place one of the 1-inch thick inner sections of watermelon inside the hollow portion and push to the bottom. 5. Now fill the hollow portion of the watermelon shell with the melon ball mix. Place the other 1-inch thick piece from the inner section on top. Move the watermelon construction to a cake stand. 6. Smooth the cream frosting of the sides and top of the watermelon cake. As an added flourish, you can decorate the top and bottom portion of the cake with the remaining frosting using a piping bag. To garnish the cake top, place the allocated melon balls in the center section and add a few sprigs of mint for decoration. Incidentally, this cake is not only perfect for those with a sweet tooth who are still trying to watch their figure during swimsuit season, but also those who want to or need to avoid gluten and carbs. "Settling" never felt so good!